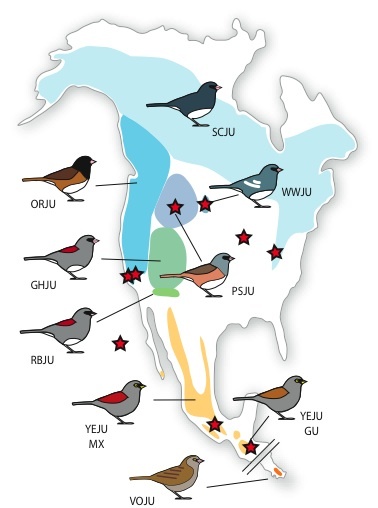 A recent study suggests that the diversification of the dark-eyed junco into subspecies occurred after the last glacial recession. The degree of diversity across subspecies is extensive, especially given the relatively short timescale (Mila et al. 2007). This marked, rapid phenotypic differentiation provides an excellent system for the comparative study of endocrine mechanisms. 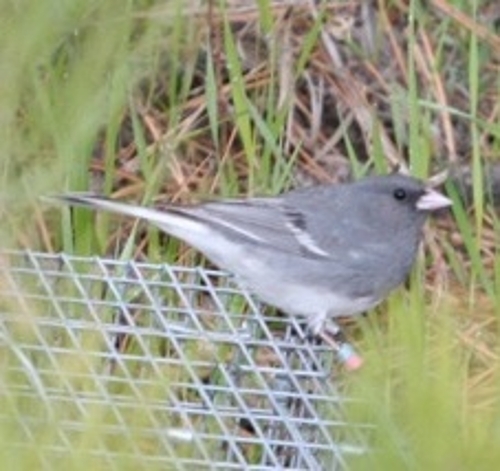 The Black Hills of South Dakota are home to the endemic white-winged junco (Junco hyemalis aikeni). Little direct research has ever been conducted on the white-winged junco, but this subspecies is of particular interest because they have the largest body size and highest levels of ornamentation of any population of dark-eyed junco. 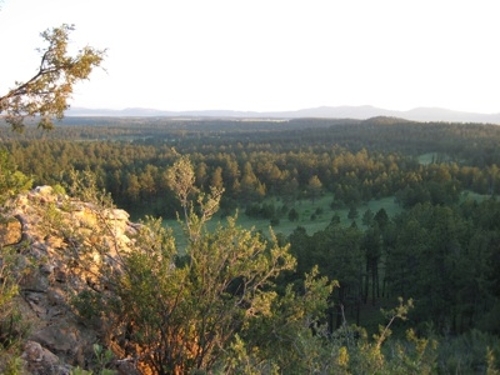 The Ketterson Lab has been studying breeding white-winged juncos in the pine forest of the Black Hills near Custer, South Dakota since 2007.